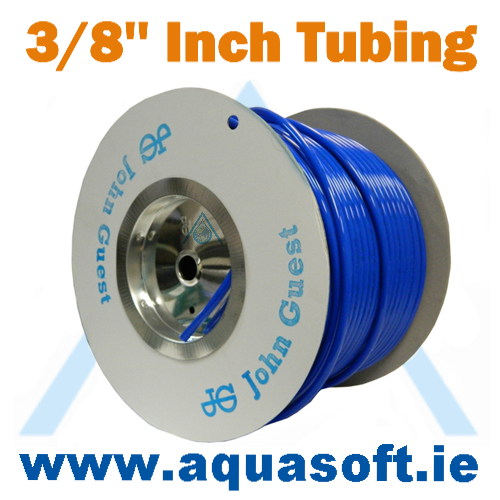 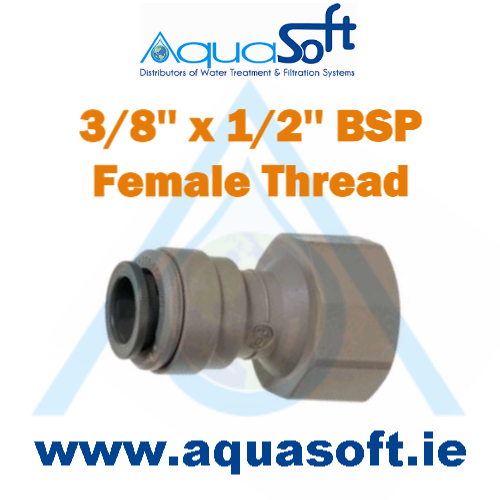 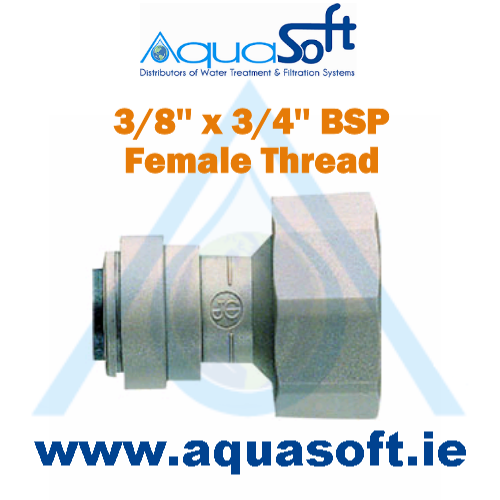 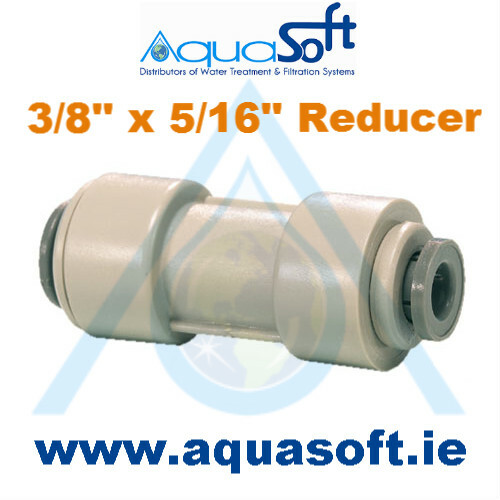 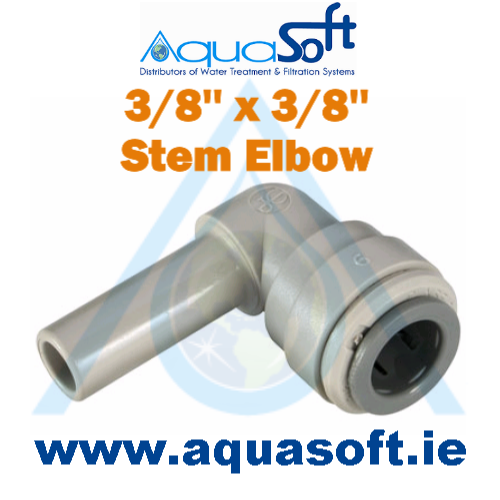 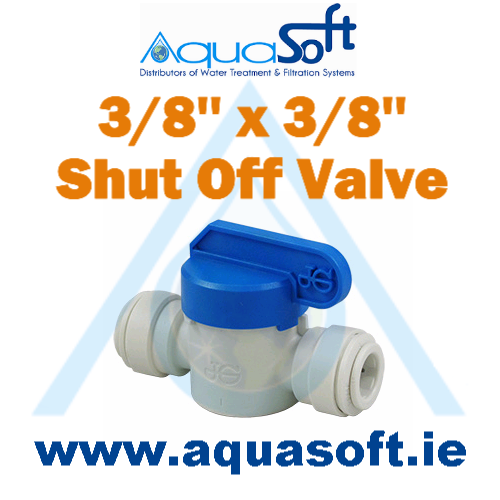 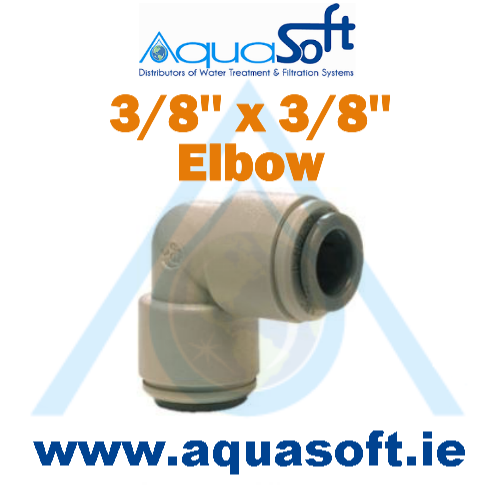 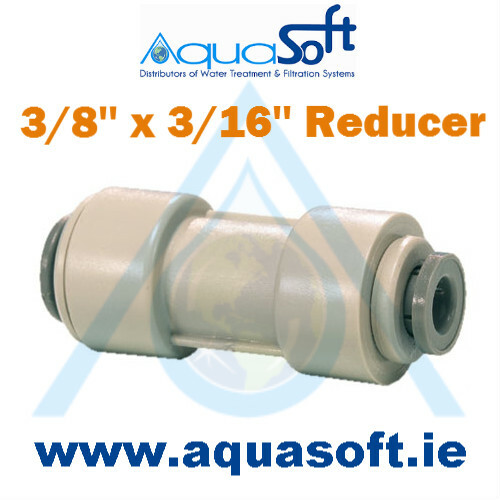 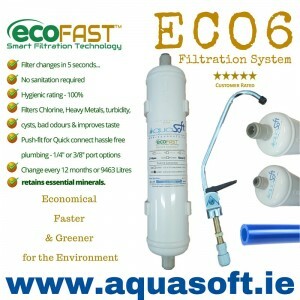 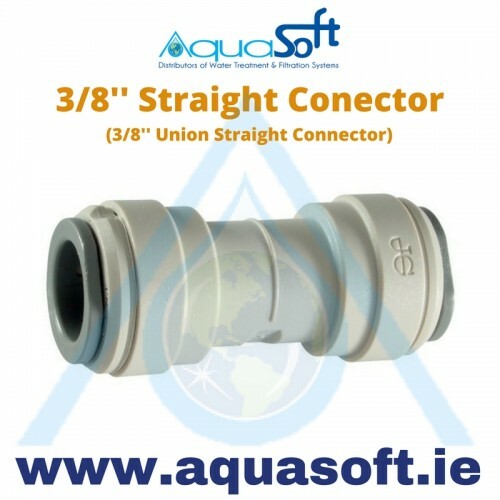 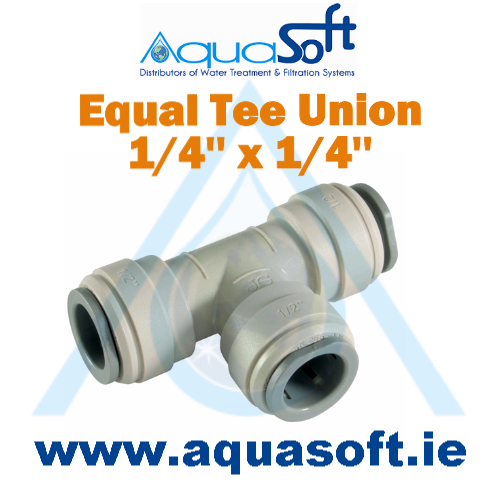 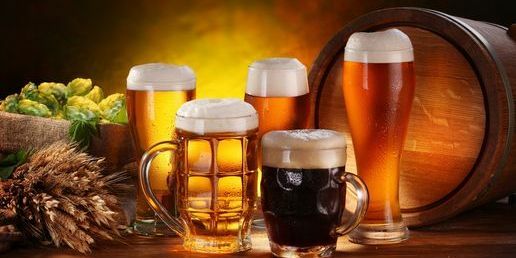 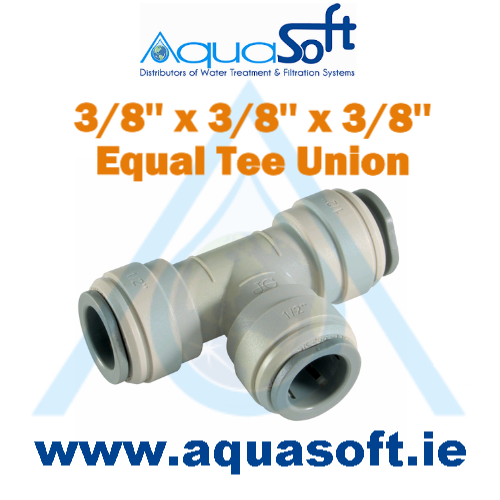 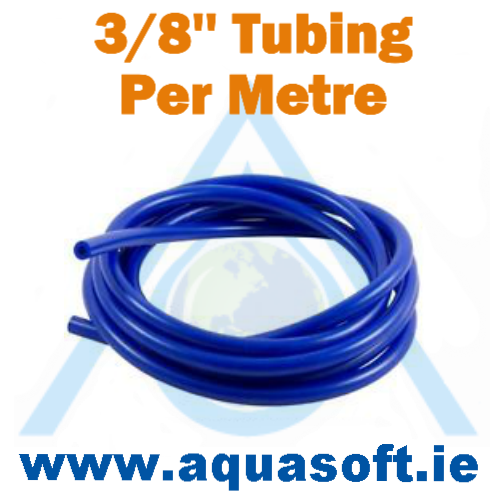 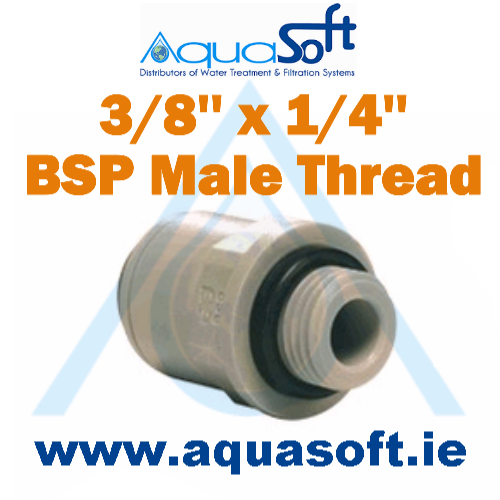 Aquasoft™ Ireland supplies a range of easy quick John Guest® push-fit connections that are perfect for home beer brewing and home kegging systems. 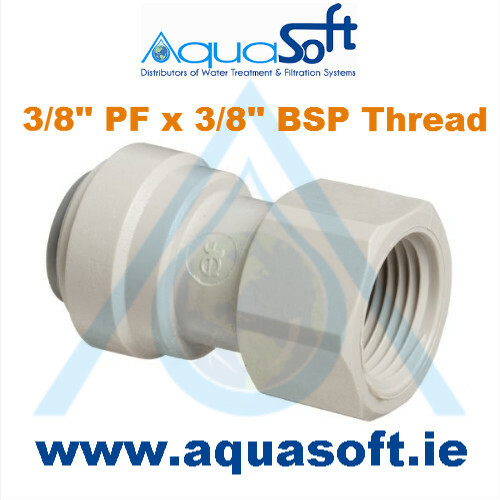 John Guest® quick fit push fittings offer instant leak-proof connection to any beverage and drink dispensing systems for home brew making applications. 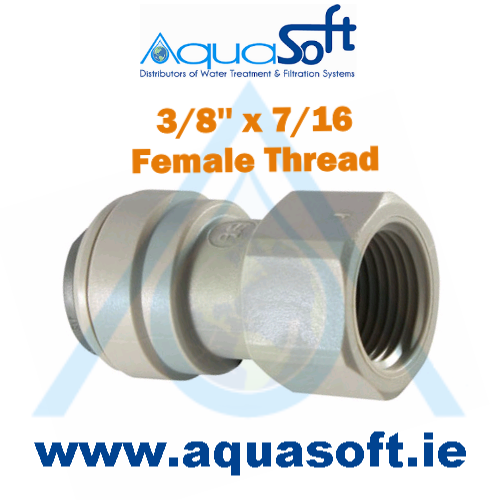 We supply John guest fittings in 3/8'' Inch, three eight inch push fit, 1/4'' Inch, one quarter Inch push fit. 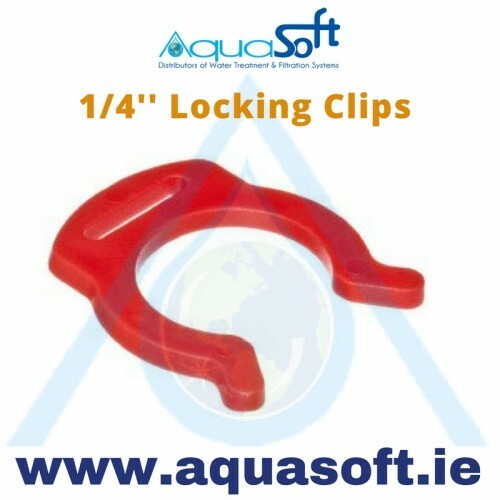 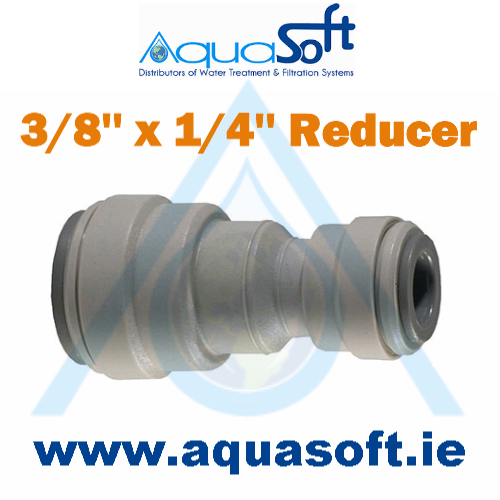 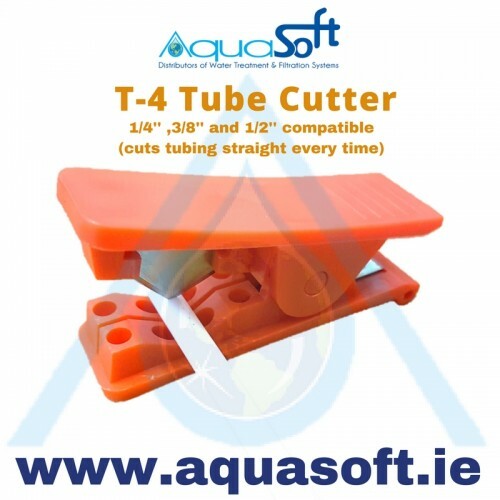 Aquasoft™ Ireland 1/4'' locking clips John Guest® leak prevention connectors for plastic and copper ..
Aquasoft™ Ireland 1/4'' x 1/4'' inch push-fit Equal Tee Union John Guest® connector for plastic and ..
Aquasoft™ Ireland 3/8'' locking clips John Guest® leak prevention connectors for plastic and copper ..
Aquasoft™ Ireland 3/8'' x 3/16'' reducer John Guest® connector for plastic and copper tube piping.Jo..
Aquasoft™ Ireland 3/8'' x 5/16'' reducer John Guest® connector for plastic and copper tube piping.Jo..
Aquasoft™ Ireland 3/8'' x 7/16'' Uns Female Thread John Guest® connector for plastic and copper tube..
Aquasoft™ Ireland 3/8'' x 3/8'' Elbow John Guest® connector for plastic and copper tube piping.John ..
Aquasoft™ Ireland 3/8'' x 3/8'' Inch Shut off valve John Guest® connector for plastic and copper tub..
Aquasoft™ Ireland 3/8'' x 3/8'' inch push-fit Straight John Guest® connector for plastic and copper ..
Aquasoft™ Ireland 3/8'' x 1/2'' BSP Female Thread Cone End John Guest® connector for plastic and cop..
Aquasoft™ Ireland 3/8'' x 1/2'' BSP Female Thread Flat ended John Guest® connector for plastic and c..
Aquasoft™ Ireland 3/8'' x 1/4'' BSP Female Thread John Guest® connector for plastic and copper tube ..
Aquasoft™ Ireland 3/8'' x 1/4'' push-fit Straight Reducer John Guest® connector for plastic and copp..
Aquasoft™ Ireland 3/8'' x 3/4'' Inch BSP Female Thread John Guest® connector for plastic and copper ..
Aquasoft™ Ireland 3/8'' x 3/8'' BSP Female Thread John Guest® connector for plastic and copper tube ..
Aquasoft™ Ireland 3/8'' x 3/8'' Equal Tee Union John Guest® connector for plastic and copper tube pi..
Aquasoft™ Ireland, John Guest® 3/8'' inch Blue 500 Ft (foot) / 150 metre coil of drinking water..
Aquasoft™ Ireland, John Guest® 3/8'' inch ldpe Blue tubing price per Metre /MeterAquasoft™ ..
Aquasoft™ Ireland Orange T-4 Plastic Tubing Cutter for 1/4'', 3/8'' and 1/2'' plastic tube cutting p..